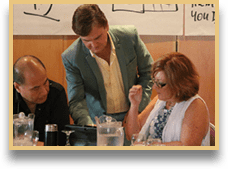 AT THE WORKSHOP EVENTS, ENJOY GETTING YOUR MARKETING PLAN “FINE-TUNED”! MAY Friday 3rd – Saturday 4th. AUGUST Friday 2nd – Saturday 3rd. NOVEMBER Friday 1st – Saturday 2nd. Each day’s Workshop runs from 9am till 5pm. NOTE: If you can’t physically attend a Workshop, no problems. You can take a “rain-check” & attend another anytime in the future. 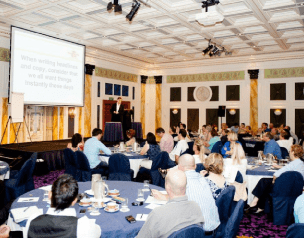 Three times during the 12 months, you’ll be able to attend a two-day “high-energy” workshop hosted by JD on the Gold Coast. 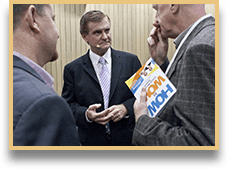 These dynamic events concentrate on JD’s Wheel Of Wow “Customer Attraction System” – and you’ll be blown away with the high-voltage atmosphere in the room! 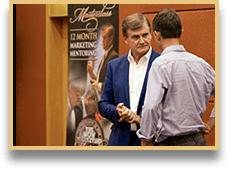 You’ll meet other enthusiastic business owners who, like yourself, are there to discover new ways to build sales – and it’s an opportunity for you to gain even more personal marketing advice from JD! Make no mistake, this is an “ideas-forum” on steroids!! JD continues to blow the lid off “conventional advertising philosophies” and shows you new, electrifying “direct-response” marketing techniques to attract new clients. Both online & offline tactics are covered & JD features “guest presenters” such as Facebook advertising experts & copywriters to keep you on the cutting edge of the latest ways to build sales. LEARN NEW FACEBOOK ADVERTISING TACTICS! 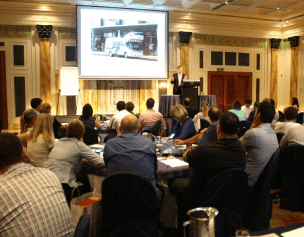 With the online world providing every business with “laser-targeted” marketing opportunities these days, understandably JD places a lot of emphasis on Facebook & Instagram advertising tactics at each Workshop. 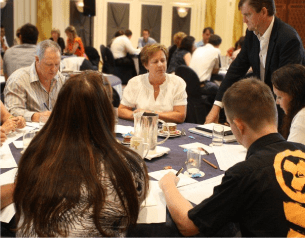 JD is a big fan of the “2 Step Selling” strategy – & includes case studies in each Workshop – showing you “HOW” you can use social media to firstly capture data & secondly, “HOW” to then SELL to that database. And don’t be surprised if you find JD interviewing an “ex-Disney” senior executive via Skype – discovering “Disney Customer Experience” secrets that YOU can take back to your business & start implementing the following week! 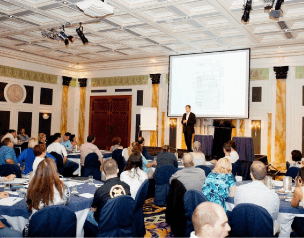 These Workshops are full of “valuable surprises” – after all, they are presented by The Institute Of Wow! And remember, if you can’t make any of the 3 Workshops during the year, you can take a rain-check & store up to 2 Workshops for future attendance (but of course you can still watch via Facebook Live). 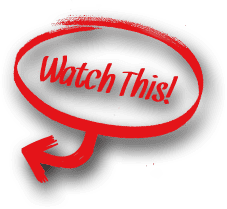 Watch The Short Videos Below To Get A “Fly-On-The-Wall Perspective” From Attendees – Showcasing How Valuable These Dynamic Workshops Are! 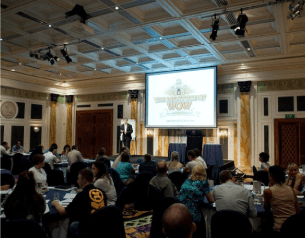 Have A Look At The Overwhelming Consensus Of The Incredible Value Of Being Part Of This Wow Client-Attraction Event! Another Short Showreel Of Comments From “Wowpreneurs” Attending JD’s Ideas-Driven Marketing Workshop! From Anywhere In The World – VIA FACEBOOK LIVE!!! Still Participate Via Facebook Live! 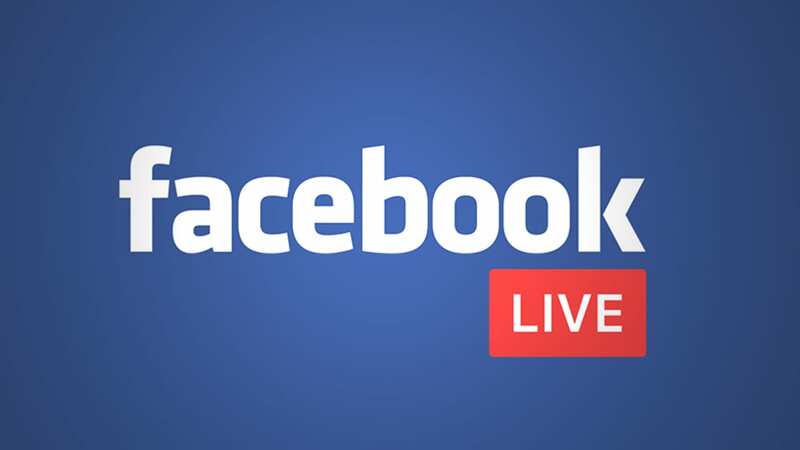 If you can’t get to the event, you can watch & get involved via Facebook Live – view JD’s sessions on your phone, PC or tablet! Of course, it’s always preferable to be “part of the event on the ground” – but this is the next best thing! Become A Member Instantly Right Now! 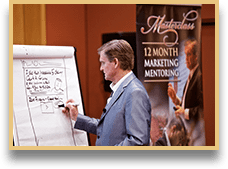 If you’ve landed on this page & thought “mmm… this ideas environment looks like one I’d like to be part of” – simply click below for more information on HOW you can join JD’s Academy Program. 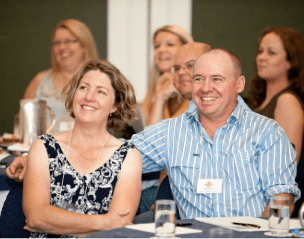 It’s a 12 month membership program where these 3 Workshop Events are just “the tip of the iceberg”. Wait till you see THE INSANE “other inclusions” you get as a member! Believe it or not, one of these “extra inclusions” is actually 24/7 ACCESS TO JD PERSONALLY – yep, you read that correctly – 365 days of being able to communicate “personally” with JD! 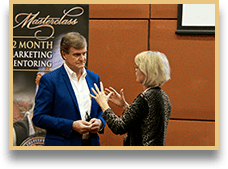 He effectively becomes your “quasi-marketing manager” – & you can gain his personal advice on the marketing of your products or services AT ANY TIME!